Manhunter put a new spin on Sierra's 3D adventure games. It's the near future and Earth has been invaded and conquered by an alien race of floating eyes: the Orbs. The people of Earth are entirely subjugated, including you - you work for them. You are a Manhunter. You are to find those humans responsible for defying new alien law and report back to your masters. The most assistance you receive in your tasks comes from your M.A.D., a customised laptop which enables you to access dossiers on every human in New York and to track and follow the movements of wrongdoing individuals thanks to the location tags implanted in every human. Although using Sierra's AGI gaming platform, Manhunter doesn't play like King's Quest or Space Quest. Perspective of the game can alternate between 1st and 3rd person perspective. You interact with people and objects in a way more similar to point and click graphic adventures. Manhunter starts by an Orb giving you an assignment. By using your M.A.D. you first trace the steps of the human subject, noting where they go and what they do. You then travel to all the locations your target has visited, those places having been marked on a detailed map of New York. At these locations you pick up clues that will help with your current assignment as well as clues that will help you further on in the game. There are also objects to pick up along the way, as well as some challenging (annoying?) arcade sequences. I think Manhunter is a fine game. It's a shame the Murray family trio who designed the game used Sierra's AGI scripting platform and didn't write their own customised graphical engine (which utilised a proper 4-bit colour palette). However, to Sierra's credit, Manhunter shows just how versatile their 3D Adventure gaming engine was. 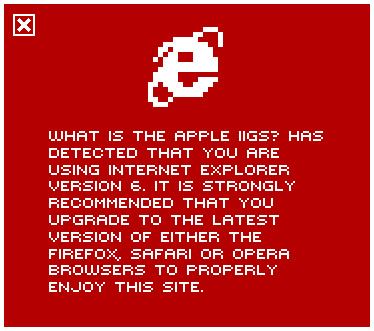 Bearing in mind the limitations of AGI, the graphics are quite good and set the grim tone of the story quite well. Music and sound continue to keep up the high standard of audio that Sierra did manage to achieve for IIGS versions of their games. Some of the arcade sequences are down right hard, but the harder they are, the more pleased you are when you get past them. The puzzles in the game aren't that easy either, but they are quite clever and show a kind of depth to the story that most games lack. 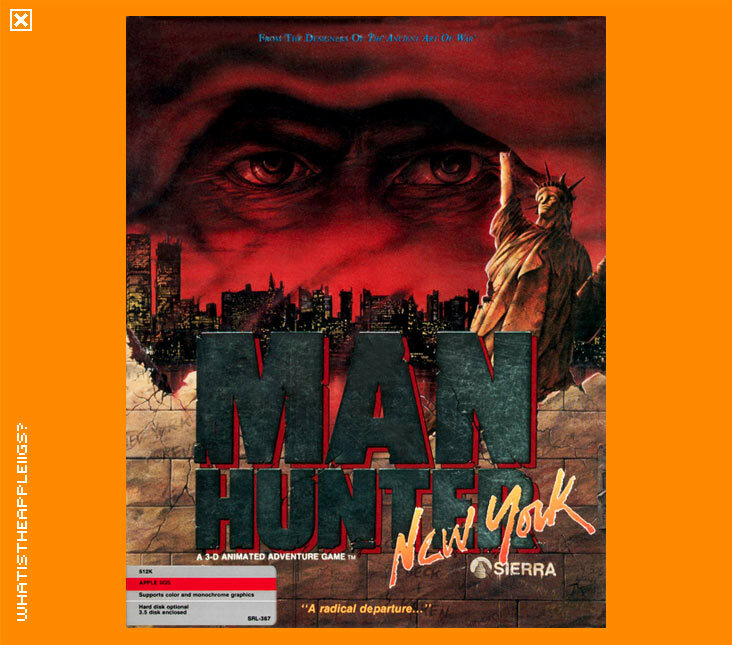 The sequel, Manhunter: San Francisco, was scheduled to be the last adventure game to be released by Sierra for the IIGS, but I never saw or heard anything about it anywhere. If you have any information regarding that release (or non-release) please contact me. NB: Mr Z's crack to remove Manhunter's word lookup copy protection has made this copy of Manhunter unusable with System 6, so you'll have to play it with ProDOS 16 on the first disk image.